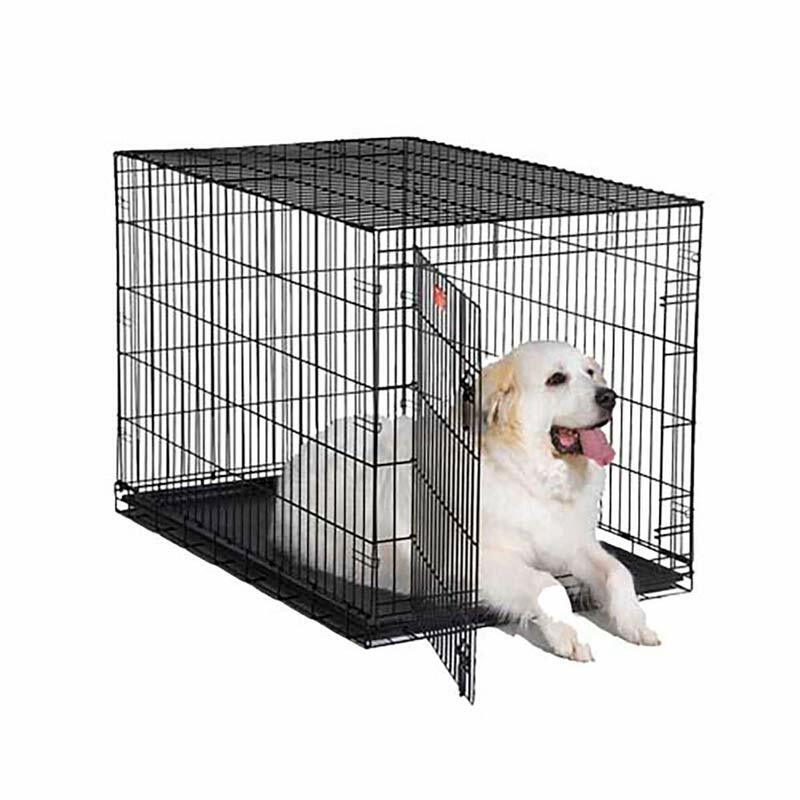 Midwest Icrate Single Door 48" X 30" X 33"
Crate training cuts housebreaking time in half! iCrates set up and fold down to a portable size without tools. They feature a durable, satin black, electro-coat finish. The door has secure and safe slide-bolt latch. Includes a tough, easy to clean plastic pan. The divider panel is also included and allows you to adjust the length of living area as puppy grows. Replacement parts for M1548: Pan M10PAN, Divider Panel M10DP, Floor Grid MFG48AB.